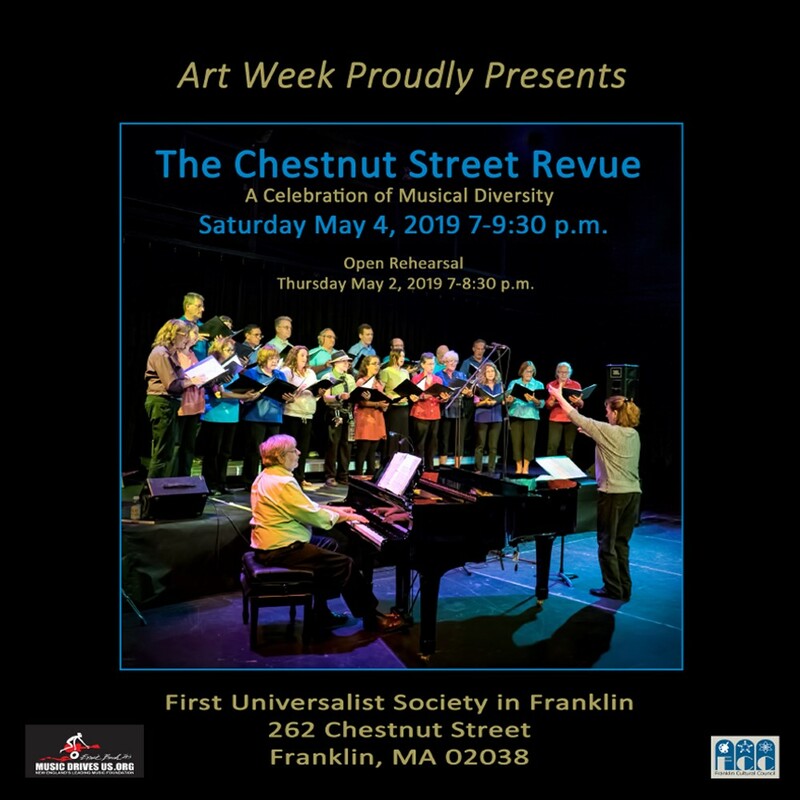 As part of Franklin’s ArtWeek this year, the Chestnut Street Revue will offer an evening of music on Saturday, May 4, from 7 - 9:30 PM at the First Universalist Society of Franklin, 262 Chestnut Street, Franklin, MA 02038. From jazz to classical, from rock and roll to acoustic guitar, this evening is sure to please everyone with its diversity and sheer entertainment value! Come see Franklin’s very own homegrown talent! The performance is free. During intermission, gourmet desserts will be available for purchase. 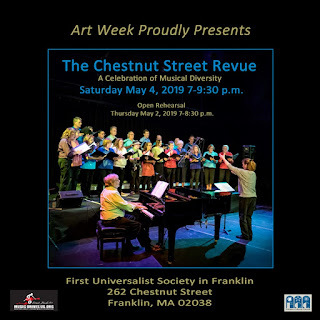 An open rehearsal will take place on Thursday, May 2 from 7 - 8:30 PM for a sneak preview of Saturday’s performance and behind-the-scenes access to sound engineers at work.